This Nordlys Ellipse IPL laser effectively treats a wide variety of skin conditions, including unsightly warts, by using a combination of fractional and infrared lasers in one device that can cover both small and large areas of the body. Birmingham AMAE Med Spa is one of the few facilities in Oakland County to offer this fast, comfortable, affordable, high-tech laser skin care treatment. 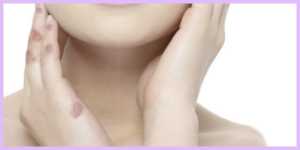 In this article we discuss how the Nordlys Ellipse IPL laser removes warts. A wart is a skin growth caused by specific types of the human papilloma virus (HPV). Warts are not only unsightly and embarrassing, they can be painful. And, warts are contagious and can spread to others with whom you come in contact – including family members. 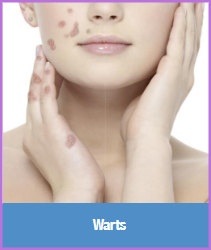 Unfortunately, in children and teens warts can also lead to teasing and bullying. While most warts eventually go away on their own, this can take months or years. And nobody wants to live with warts for this long! Many warts can be removed by a doctor using silver nitrate solution, salicyclic acid, or by freezing. Keep in mind that most over-the-counter wart removal kits and products (including OTC kits using CO2) are not as effective as having a clinical grade treatment in a doctor’s office. If the treatment methods outlined above are not successful, the wart is deemed to be a “recalcitrant” or “stubborn” wart. In these cases, Ellipse laser wart removal treatments are the ideal solution. An intense beam of infrared light from the Ellipse laser is used to burn and destroy the wart tissue. A single burst of light is enough to remove smaller warts, whereas larger ones such as warts found on the soles of the feet – (e.g. plantar warts or mosaic warts) – may require multiple laser blasts to ensure the entire affected area is treated. A local anesthetic may be used depending on the number and location of the warts, to ensure a comfortable and pain-free wart removal experience. Additionally, to assist the laser light in penetrating the skin, any callus or area of dead skin will usually be thinned out using a razor or scalpel first. A thin layer of optical coupling gel may also be applied to increase the effectiveness of the laser. Birmingham double board certified plastic surgeon Dr. Ali offers the absolute best, state-of-the-art technologies in skin treatments, and scar, wart and wrinkle removal. In addition to Nordlys Ellipse IPL laser skin treatments, we also offer Fraxel 1550 laser treatments as well as ThermiSmooth radio frequency skin treatments. Each laser skin treatment begins with a professional skin consultation. Treatments are selected and optimized to meet the specific needs of each client with the most innovative and comprehensive products and technologies. Schedule a laser wart removal treatment – and then relax in our Birmingham Medical Office and Spa, while we get rid of your ugly warts once and for all with state-of-the-art laser technology!